For an unapologetic capitalist, it’s particularly frustrating when an allegedly pro-capitalist politician lacks the intellectual ammunition to adequately defend the free market. Concessions to statist opponents provide the illusion that statists have the moral upper hand. This is especially self-defeating when a politician — a successful capitalist in his private life who should recognize the dangers of statist principles — is reduced to merely quibbling over good and bad applications of an inherently pernicious principle. Mitt Romney was just such a politician in the last election. Let’s first consider this concession to central planning with a thought experiment. Imagine that before you wrote a letter, an internet post, a book, gave a speech, or any other form of exercising your right to free speech, you first had to run the content by a bevy of government bureaucracies. The Department of Defamation or the Bureau of Inciting Violence would examine the content to cull out those particular unprotected uses of speech. Or worse, the government would screen out what should be protected speech under the 1st Amendment, using such agencies as the National Institute of Hateful and Offensive Speech and the Obscenity Administration. At the cost of your time and money, the government would be playing prosecutor before you ever published a word. Any serious defender of free speech would rebel at such a prospect. SCOTUS has consistently held that prior restraints on free speech are the “essence of censorship” and generally void as a matter of law (see, e.g., Near v. Minnesota). To hold prior restraints as valid is an inversion of the basic American principle of innocent until proven guilty. The government would be holding the speaker as guilty, and the speaker would bear the burden of proving himself innocent — before even a word was spoken or published. This 1st Amendment example broadly captures the essence of objective law vs. regulation; namely, the protection of one’s freedom to act vs. the necessity of gaining the government’s permission before one is allowed to act. Economic regulation is directly analogous to prior restraints on free speech. Just as a preliminary injunction on free speech holds one guilty before a word has been spoken, economic regulations constitute prior restraints on commerce whereby the businessman must first prove his innocence before he is allowed to engage in commerce. For some reason, prior restraints on right to property are not only not given parallel treatment, but are considered necessary for a “free economy” — by an alleged defender of the free market no less. Since the Left despises private property and thinks profit is made by poisoning and harming customers, businessmen are treated as guilty until they prove themselves innocent before a phalanx of government bureaucracies, such as the FDA, EPA, SEC, OSHA, ATF, and on and on. Yet, nobody thinks to ask why the marketplace for ideas has not collapsed without concomitant bureaucracies strangling free speech with prior restraints? If a customer is negligently or intentionally harmed by the actions of a business, criminal and civil liability exists under the law — just as it does for unprotected speech, such as defamation and inciting violence. However, while prior restraints on free speech are regarded as tantamount to censorship under the 1st and 14th Amendments, no consideration is given to the oppression prior restraints have on the use and disposition of one’s property, even though the right to property is similarly protected under the 5th and 14th Amendments. Much is made, quite rightly, of the “chilling effects” prior restraints have on free speech and the marketplace for ideas, but nary a second thought is given to the “chilling effects” economic regulations have on the marketplace for goods and services. According to the Small Business Administration, the total cost of regulations in 2008 was $1.75 trillion dollars. In other words, over 13% of the U.S. economy is chewed up just so services can be delivered, or just to get goods on the shelves. Advocates of economic regulation will claim that regulation is a necessary cost of doing business and will reduce the costs of harm created by businesses. Let’s dig a little deeper into that claim. In the case of free speech, one of the “chilling effects” is that one may not exercise his right due to the prohibitive legal costs in having to prove his innocence. Indeed, the same is true for business development and innovation. For instance, consider that the average cost of getting a new drug past the FDA is $1.3 billion dollars, and can be as much as $11 billion dollars. How many live-saving and life-enhancing drugs are never developed because of the prohibitive cost of regulation? How many other products are never produced because of the capital wasted in complying with government edicts, which would otherwise be put to productive enterprises? The number is inestimable. And this is just one product market. Classical economist Frederic Bastiat referred to this phenomenon as “the seen, and the unseen”. The “seen” being the allegedly prevented harms, the “unseen” being the development of new life-enhancing technologies that were never undertaken because of the prohibitive cost of regulation. Just as a prior restraint on speech may “freeze” information for a period of time and render that information moot — such as uncovering a crime that is about to happen — so too does economic regulation “freeze” the benefits of new products. In this study, it was found that delays in FDA approval of drugs approved elsewhere in the world resulted in over 200,000 deaths over a thirty year period. Again, one product market. What of the claim that regulation keeps us “safe”? Not only do FDA-approved drugs kill 106,000 people per year, but the increased FDA regulations in 1962 increased the number of deaths — due to increased delays and expenditures — by a 4:1 margin over the allegedly live-saving benefits of the new regulations, according to this study. This last study brings up an important question that advocates of regulation need to answer: if regulation allegedly prevents harm, then why do harms such as death increase with increasing regulation? While the U.S. has never had a completely unregulated free market, one cannot deny that regulation retards economic growth — within an industry, across industries, or across countries. Makes sense, as individual producers and consumers are best able to judge what is in their mutual self-interests, not government bureaucrats in a distant capital. But this is not primarily a cost/benefit analysis. The essential issue is an individual’s moral and constitutionally-protected right to the possession, use, and disposal of property. The goal of statists is to condition individuals to placidly accept paying tribute to the government for the privilege of exercising their inalienable rights. When an allegedly pro-capitalist presidential candidate concedes that such an assault on private property is necessary for a “free economy”, you know the statists have achieved their goal. Attacks on free speech are more transparent, but once sundry statists condition individuals to beg for government permission, censorship of free speech is a fait accompli — set up by first destroying the right to property. This is what real salt looks like—we all know what regular white salt looks like—and we mistakenly think it is real salt when it is not. The fact is that refined white salt, such as commercial table salt is bad, very bad stuff. Unrefined natural salt on the other hand is good, very good stuff providing many health benefits. Unrefined sea salt is healthy. The blood-pressure-raising effect of table salt can be due to its high content of sodium with not enough magnesium to balance it. This has a magnesium-lowering effect that can constrict the arteries and raise blood pressure. Real salt (of various kinds) contains plenty of magnesium and other important minerals, which is why it usually does not affect blood pressure in a negative way. Without appropriate amounts of sodium, your body may have a difficult time cooling down after intense exercise or activity. When the body is hot, you sweat. If you do not have enough sodium, your body may not sweat as much and you may then become overheated. This could result in a stroke or exhaustion as well as dehydration. In addition to sodium and chloride, Celtic Sea Salt® provides other nutrients that naturally occur in salt beds, including trace amounts of calcium, magnesium potassium, iron and zinc. In accordance with standards set by The World Health Organization and the Food and Agriculture Organization, independent analysis indicates that levels of heavy metals are non-detectable (e.g. 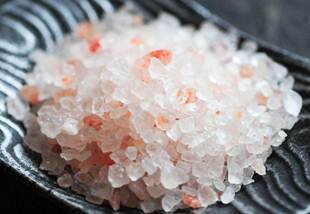 arsenic, cadmium, mercury) or well below published safe limits in Celtic Sea Salt®. Perhaps most importantly, Celtic Sea Salt® is not exposed to refinement and bleaching used to manufacture typical table salt and there are no additives. Celtic Sea Salt® is harvested from the ocean using the sun, the wind and shallow clay ionizing ponds, a method passed down through the generations. Many Americans over consume refined salt by eating processed foods, fast foods and canned foods with salt added. Celtic Sea Salt® is a good alternative as part of a healthier diet. Recommended use is a half teaspoon per day. Himalayan crystal salt that is mined 5,000 feet deep below the Himalayan mountain range was subject to enormous pressure over millions of years and is over 99% pure. The higher the amount of pressure the more superior or excellent the state of order within the crystalline structure of salt. Many Himalayan salts are sold cheaply but are collected from higher up near the tops of the Himalayan Mountains instead of from the deeper mines. These salts contain more impurities, do not have the same structure and are not as easily assimilable by the body. Himalayan salt contains 84 minerals and trace elements in ionic state and is a delightful pink color. People often state that they use less of this salt than of other types. Many sizes are available from 3 oz in a salt grinder to larger 1-kg bags (2.2 lb). Salt chunks are also available for making your own “sole,” which is a saturated solution of purified water with Himalayan salt. A specific recipe (see below) must be followed to make sole and results in a solution that has much less sodium than just adding salt to water would have. Daily use of sole is believed to stimulate the peristalsis of the digestive organs, balance the stomach acid, support the production of digestive fluids in the liver and pancreas, regulate the metabolism and harmonize the acid-alkaline balance. 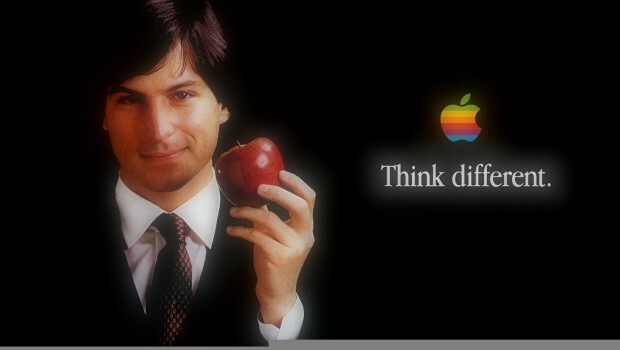 Steve Jobs lived more than 30 years after developing pancreatic cancer thanks to his vegan diet. That’s the preposterous claim made by Dr. John McDougall in a lecture that has been viewed by more than 52,500 people on YouTube http://www.youtube.com/watch?v=81xnvgOlHaY and widely touted in the vegan community as a scientifically sound example of veganthink. McDougall speculates that Jobs first developed cancer in his twenties, which might well be the case given that most cancers develop years before diagnosis. But by that line of thinking, anyone diagnosed with cancer who has made it to mid life could be living thirty years past the initial cancer cell divide. Most of those people will have been on Standard American Diets, high in sugar, starch, factory-farmed animal products and all American junk food. Somehow McDougall holds that animal products caused those cancers but Jobs’s nearly lifelong obsession with veganism could only have prolonged his life! None of us, of course, can say for certain what caused the pancreatic cancer that led to Steve Jobs’s death, or what, if anything could have saved him. Dietary, lifestyle, environmental and genetic factors all must have come into play. But McDougall’s failure to even consider the role that Jobs’s vegan diet – and frequent fruitarianism — may have played in his death is unhelpful at best and irresponsible at worst. With the help of the Isaacson biography, I thoroughly documented a longstanding pattern of food fanaticism, eating disorders and mood swings dating back to Jobs’s teenage years. On the plus side, his diet seems to have been organic and high quality, and at no point, did he appear to have been a junk-food vegan who indulged in all-American junk foods such as soda, chocolate, cookies and crackers. On the con side, Jobs was a picky eater who moved in and out of fruitarian phases for most of his life, but consistently favored a lot of fruit and fruit juice. The refrigerators at Apple were always well stocked with Odwalla juices, and numerous sources over the years reported him ordering juices frequently at restaurants. Indeed, this was the most consistent part of his diet for life. Fruits and fruit juices are not only high on the glycemic index, but loaded with fructose. In all but small quantities, they greatly stress the liver and pancreas, contribute to diabetes and many other blood sugar disorders, and have been linked to pancreatic cancer. Jobs suffered from a type of pancreatic cancer known as islet cell carcinoma, which originates in the insulin-secreting beta cells. That the fructose in Jobs’s fruit heavy diet likely contributed to this cancer is supported by research published in the November 2007 issue of American Journal of Clinical Nutrition which concluded there was “evidence for a greater pancreatic cancer risk with a high intake of fruit and juices but not with a high intake of sodas.” In other words, the “healthy” juices regularly drunk by Jobs may have been been even worse than the soft drinks he seems to have rejected. More recently, in the August 2010 issue of Cancer Research,Dr. Anthony Healy of UCLA’s Jonsson Cancer Center and Director of the Pituitary Tumor and Neuroendocrine Program at UCLA, proposed that aberrant fructose metabolism—and not just aberrant glucose metabolism—might be involved in the pathogenesis of Jobs’s type of pancreatic cancer. Seems fructose provides the raw material cancer cells prefer to use to make the DNA they need to divide and proliferate. Although the UCLA findings are preliminary, done with cell lines, and at this point more suggestive than bulletproof, the Reuters headline “Cancer Cells Slurp Up Fructose” is fair warning to any of us addicted to fruit and fruit juices. McDougall read the Isaacson biography and based a lot of speculation on it. Yet he somehow missed — or chose to ignore – the fact that Jobs’s brand of veganism included massive amounts of fruit juice, with its dangerous load of fructose. Instead, McDougall speculates that the main flaw in what he sees as Jobs’s mostly excellent diet was eating meat analogue products high in carcinogenic soy protein isolate. In fact, as I discuss extensively in Chapter 16 of The Whole Soy Story: The Dark Side of America’s Favorite Health Food, products are risk factors for the exocrine type of pancreatic cancer that killed actors Michael Landon, Patrick Swayze and astronaut Sally Ride, but not for the much rarer endocrine type that killed Jobs. Furthermore, we have little evidence that Jobs ate much soy. In a book full of food references, Isaacson does not mention soy even once. Certainly, the Apple culture was soy friendly with soy milk readily available in vending machines and at coffee stations and with soy meats served up at company cafeterias, but we have no good evidence at this point that Jobs ate much of it over his lifetime. Indeed, it is very likely he rejected it because of his longstanding fascination with the book The Mucusless Diet Healing System by Arnold Ehret (1866-1922). Ehret’s peculiar brand of VeganThink held the human body is an “air-gas engine” that runs well only on fruits, starchless vegetables and edible green leaves. Soy and other legumes, according to this way of thinking, were to be disdained as mucus-producing forbidden foods. Ehret — whose own “air-gas engine” sputtered, stalled and died at age 56, the same age as Jobs – not only condemned protein and fat as “unnatural” but said they could not be used by the body. 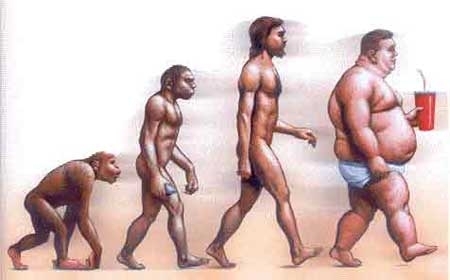 Inspired by Ehret’s theories, Jobs appears to have eaten a diet low in both fat and protein for most of his life. And what did he eat instead? Carbs high in fructose, the very type of carbs linked to blood sugar problems and pancreatic cancer. McDougall’s VeganThink also includes a strong opinion about Jobs’s earlier trials with painful kidney stones, which he declares were not kidney stones at all, but misdiagnosis of a diseased pancreas. How so? Those organs are located close together in the body after all, thus easily confused by doctors less wise than himself. His main reason though is kidney stones simply cannot occur to anyone on a vegan diet. As per the VeganThink theory of kidney stones, the acid load from animal proteins causes loss of bone, leading to dissolved calcium in the blood, overwhelm in the urinary tract, and build up of kidney stones. Vegan Jobs could not have had acid buildup, therefore could not have developed kidney stones. A more likely scenario is Jobs’s kidney stones were the predictable result of his high fructose diet. Sugar – including fructose, the fruit sugar vegans believe is super healthy – upsets mineral balance in the body, interferes with calcium and magnesium absorption and can lead to a host of health problems, including kidney stones. Indeed there is so much research linking high consumption of fruit juices by children to higher incidence of kidney stone development in youngsters as early as kindergarten age that the issue has been covered in the New York Times. Veganthink further fails to recognize how often kidney stones develop from oxalates, which are indigestible compounds found only in plant foods. Oxalates are especially high in vegan staples such as spinach and other dark leafy greens, parsley, beets, carrots, strawberries, nuts, peanuts, soy and chocolate. Isaacson says nothing about Jobs eating nuts, peanuts, soy or chocolate, but a great deal about his love affair with fruits, veggies, salads and juices. Where else does McDougall go astray? Interpreting reports of Jobs’s skin and eyes turning yellow and orange in his twenties as proof of the obstruction of the bile ducts and the early onset of the deadly pancreatic cancer that Jobs’s vegan diet somehow kept at bay for an astounding 30 years. The obvious reason — widely acknowledged even in the vegan literature — is excessive carrot juice consumption, which Jobs was well known to have consumed. In short, McDougall’s lecture is a whole lot of speculation, assumptions and questionable claims, including the entirely wrongheaded idea that it is the nature of cancer cells to divide and tumors to grow in such an orderly, predictable way that disease progression can be calculated using multiplication tables. Really? Though even his simple math doesn’t compute, most of the YouTube “commentators” have chosen instead to carp on his pseudo-French pronunciation of the word centimeters as “sahntometers.” I guess some doctors somewhere sometimes say it that way, but the overall impression is pretentiousness in the service of pseudo science. According to scientists at University Rey Juan Carlos in Madrid, sugars are needed to provide us with energy and in moderate amounts contribute to our well-being. Sustained high levels of sugars, as is found in diabetics, damages our cells and now is shown that can also increase our chance to get cancer: The dose makes the poison as Paracelsus said. It is well known that obesity is a leading cause of diabetes, a disease where the body fails to control blood sugar levels. High blood sugar levels are characteristic in obesity and diabetes. What is less well known is that diabetes and obesity are also linked to an increase in cancer risk. That is, the diabetic population has up to double chances to suffer pancreatic or colon cancer among others, according to well sustained epidemiological studies. With obesity in British and Spanish children reaching 16%, the highest in Europe, this epidemic has major health implications. How obesity or diabetes increase cancer risk has been a major health issue. Scientists led by Dr. Custodia Garcia-Jimenez at the University Rey Juan Carlos in Madrid have uncovered a key mechanism that links obesity and diabetes with cancer: high sugar levels, which increase activity of a gene widely implicated in cancer progression. Dr Garcia Jimenez’s laboratory was studying how cells in the intestine respond to sugars and signal to the pancreas to release insulin, the key hormone that controls blood sugar levels. Sugars in the intestine trigger cells to release a hormone called GIP that enhances insulin release by the pancreas. In a study published in Molecular Cell, Dr Garcia Jimenez’s team showed that the ability of the intestinal cells to secrete GIP is controlled by a protein called β-catenin, and that the activity of β-catenin is strictly dependent on sugar levels. Increased activity of β-catenin is known to be a major factor in the development of many cancers and can make normal cells immortal, a key step in early stages of cancer progression. The study demonstrates that high (but not normal) sugar levels induce nuclear accumulation of β-catenin and leads to cell proliferation. The changes induced on β-catenin, the molecules involved and the diversity of cancer cells susceptible to these changes are identified. Dr. Custodia García said “We were surprised to realize that changes in our metabolism caused by dietary sugar impact on our cancer risk. We are now investigating what other dietary components may influence our cancer risk. Changing diet is one of easiest prevention strategies that can potentially save a lot of suffering and money”. Estimations published by the World Health Organisation (WHO): Obesity predisposes to diabetes and its prevalence is doubling every 20 years worldwide. More than 1 in 10 adults worldwide (12%) are obese (BMI>30). 1 in 6 children in UK and Spain suffer obesity. More than half (63%) of premature deaths worldwide are due to non communicable diseases (NCD) of which cancer and diabetes are among the 4 causes more frequent. At least 1 in 3 of the main cancers (27–39%) can be prevented by improving diet, physical activity and body composition.